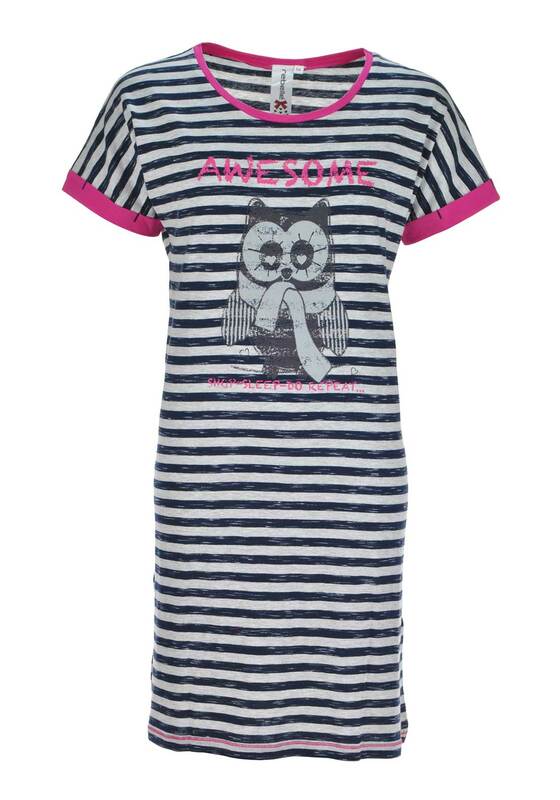 Enjoy a comfortable night’s sleep with this navy and grey striped nightdress from Rebelle. A great choice for warm summer nights. Designed with a straight shape and mid-thigh length. Made from soft and comfortable stretch cotton fabric and featuring a quirky owl cartoon graphic on the front.